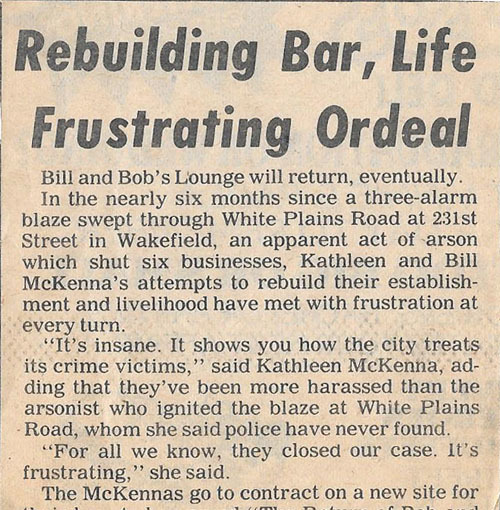 The history of B & B’s 5th Avenue Pub goes way back to 1965, when William McKenna (Bill) and his partner Robert Moricone (Bob) opened Bill & Bob's Lounge in Bronx, NY. 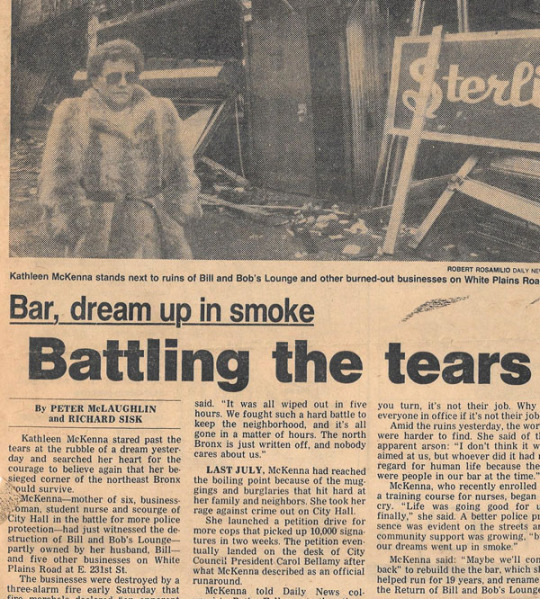 After eighteen years of being a neighborhood staple, a terrible fire took that business away. Luckily, in April of 1984, Bill and his son, Paul, were able to reopen Bill & Bob's just a few blocks away from the original location. Good times, and much success ensued as Bill & Bob’s once again became a staple in the Bronx enclave of Wakefield. Bill, Paul, and the rest of their family maintained strong roots in that community, giving their time and financial support to many local charitable organizations. 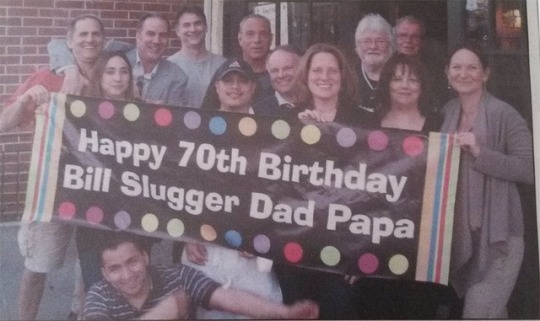 Then in November of 1996, Bill and Paul decided to try to bring their family tradition to Westchester. Paul, being a former Pelham resident, had frequent many of these local pubs and restaurants in Pelham, and had a great appreciation for the residents' loyalty to the local businesses. So when the location on 5th Ave. and 7th Str. (formally the Mayflower, then McClintox) became available, Bill and Paul decided to bring along veteran chef Peter Smith and new partners, Anthony Buonocore and Frank Larkey, to try their hands at serving the people of Pelham and the surroundings towns. Peter, a long-time friend of the McKenna family, as well as a summertime employee at Bill & Bob’s, had worked at Martha’s Vineyard at the Botanical Gardens and for the Chart House in Dobbs Ferry. So when Bill and Paul decided to open B & B’s 5th Avenue Pub in Pelham, they couldn’t think of anyone else they would rather have running the kitchen. For more than eighteen years, now this union was providing Pelham and the surrounding areas with a consistence combination of gourmet food, a lively pub atmosphere and a family friendly environment. You will always feel welcomed at B & B’S, and Bill, Paul or Tony will always be on hand to greet you with a smile. B & B’s has, and will always continue to provide great fare and remain active in the community as well. That is what B & B's is all about. Families, helping families, and promising a safe, friendly exciting fun place to eat and drink. So what are you waiting for? Come on in for some great family fun! Copyright © 2015 B & B's. All Rights Reserved.